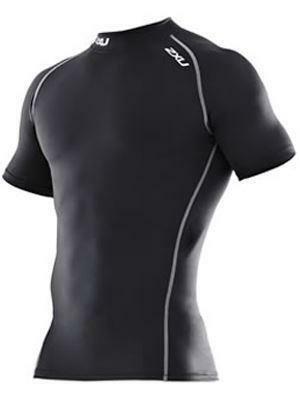 2XU compression tops are the choice for athletes wanting to get maximum compression benefits for the upper body. By using graduated compression throughout the arms of the garment, venous return to the heart is enhanced, removal of lactic acid is boosted and muscle soreness and fatigue minimised. Heavy duty lycra compression top providing an unrestricted range of motion by utilizing a raglan construction in the shoulders, ensuring you are comfortable to train and compete at your best.